As I mentioned in my last post, this was my first time as pen show volunteer staff. It’s an experience I look forward to repeating many times in the future. When Corinne, the show organizer, put out a call to the DC Pen Crew for volunteers, I eagerly signed up. My reasoning, beyond wanting to help out, was that if I was volunteering, I wouldn’t be spending money. That theory worked out well. When I received the schedule, I was happy to see myself listed for Saturday afternoon and Sunday morning. That shift schedule worked so well that I’m hoping for the same next year. Alright, my third pen show of the year. 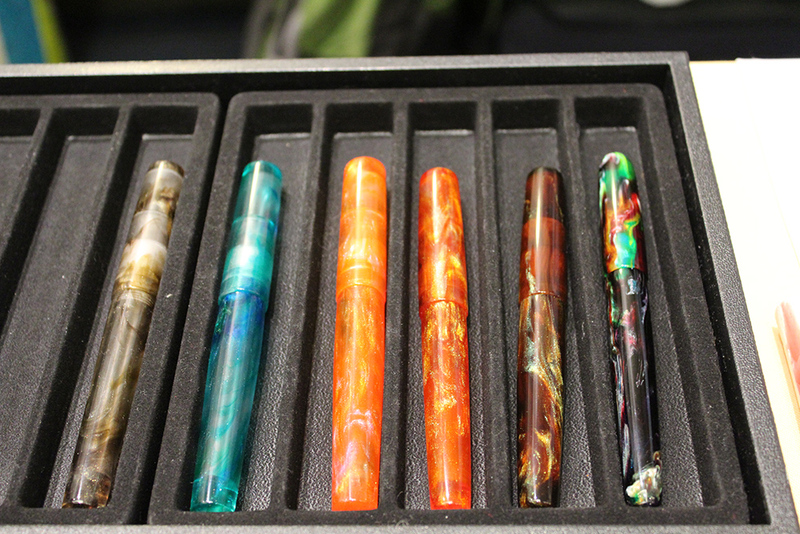 Allow me to start of by saying that the Baltimore Washington International Pen Show (BWIPS) is my favorite pen show. I’ll do my best to describe and rate it (since I haven’t done so previously) in an unbiased manner, but I don’t know if I’ll be wholly successful. To start, this was a show with several firsts for me. It was the first time I’d attended a full pen show, the first time I’d stayed at the show hotel, the first time I’d attended a pen show workshop, and the first time I’d volunteered as part of the show staff. I’ll cover my volunteering experience in another post. For now, suffice to say it was great. I’m eager to volunteer again next year. The Los Angeles Pen Show was the fourth show location I’ve attended (DC, Baltimore, Philly, and now LA). There were a decent number of tables, but the layout was appalling. We arrived around 10:30, assuming that would allow us to avoid the opening crush of people we’d heard a lot about. 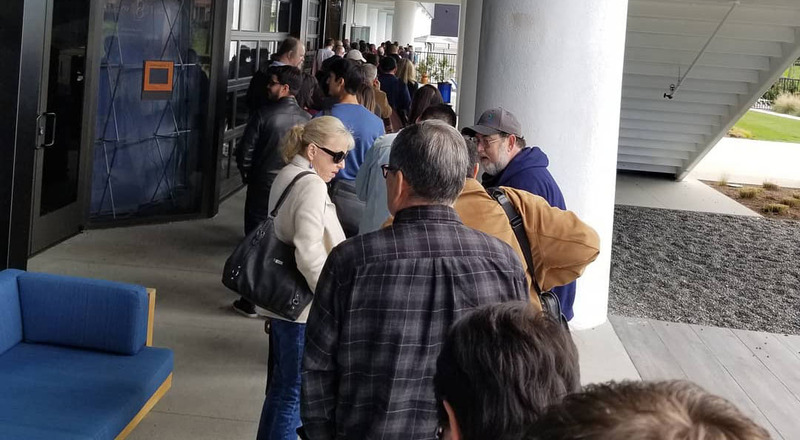 … and the half of the line inside. 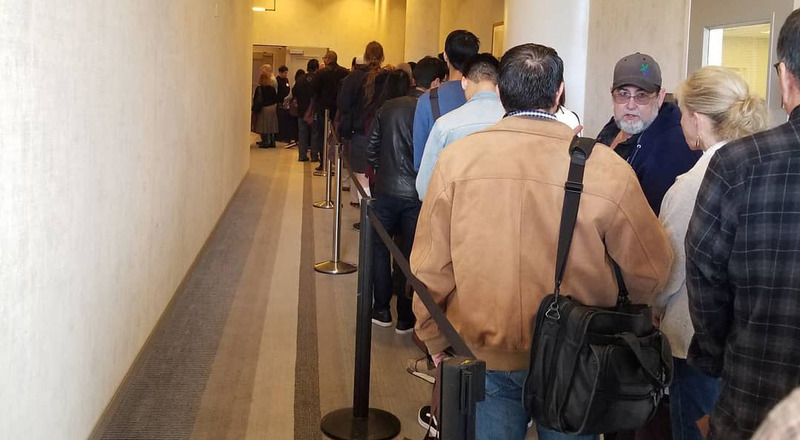 Unfortunately, we arrived to find a line that wound down the corridor, out the door, and about half way down the building. Surprisingly, the line moved fairly quickly, but getting into the show was less than half the battle. An unconsidered side-effect of arriving after the show had started was a lack of street parking. There wasn’t much to start with, but it was all taken by the time we arrived. Parking at the hotel ended up costing us around $20 for the little time we were there. I don’t want to know what people who stayed the whole day paid. 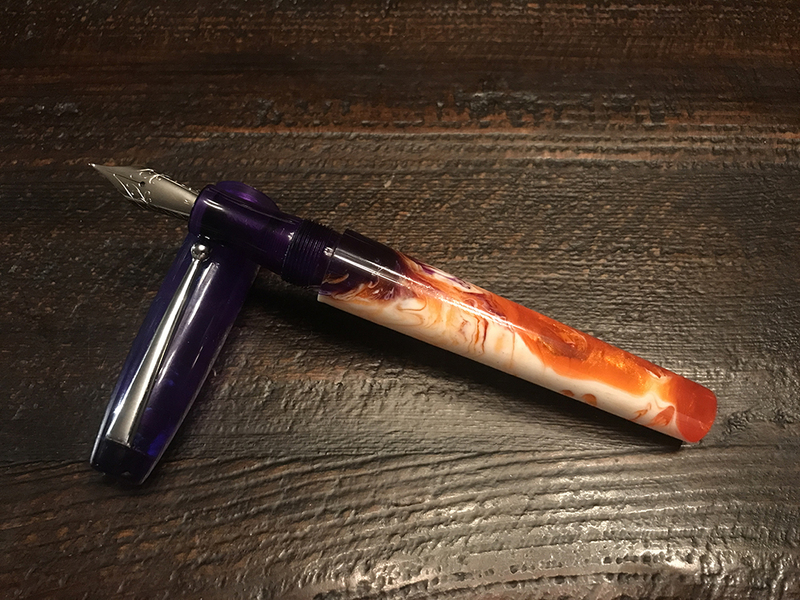 As I sat down to write my post about the LA Pen Show, I realized I’d never written a post about the Philly show. Therefore, even though it’s over a month late, allow me to share with you my experiences at the Philly show. We drove up from the DC area with a friend of ours, and, thankfully, there was no real traffic. Upon arriving, I realized how fortunate I am to have the DC and Baltimore shows. My immediate thought was that the show is overpriced for its size. We paid $13 online (it’s $15 at the door), a single-day price higher than DC, Baltimore, and LA. It’s also smaller than those other three shows. I will say that the aisles were roomy, on par with Baltimore and far surpassing DC and LA. The selection was fairly evenly dispersed between vintage, new, expensive, and affordable. There was a decent selection of inks. And, for the overall size of the show, a decent number of nibmeisters. 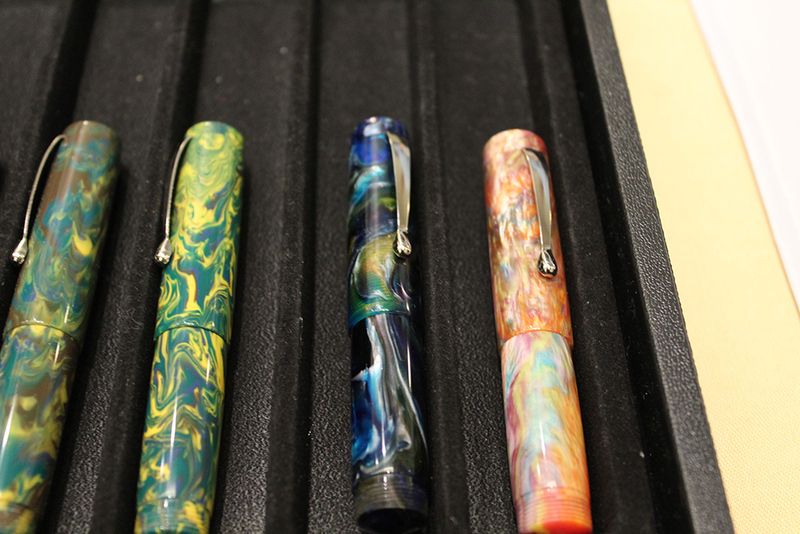 This past weekend I was back at the Washington D.C. Collectible Fountain Pen Supershow (a.k.a the DC Pen Show). I spent two and a half days at the show this time, as opposed to the 2/3 of a day I spent last year, so rather than a set of in-depth posts, I’m giving you an overview of my experience with some detailed stories of the best parts of the show. We weren’t able to take time off from work to attend the show on Friday, but we went straight from dinner to the hotel. From the moment we arrived at the Marriott Fairview Place on Friday night, it couldn’t have been more different than last year. By sheer coincidence, we arrived as a group of our pen friends were heading out to dinner. We exchanged “hello”s and “see you later”s with everyone, and hugs with a few people. Ralph, the contagious ink boy, inked Jim with a hug, which was rather funny. We relaxed at the bar for a while, catching up with our friend TeAntae and her mother, Louise. 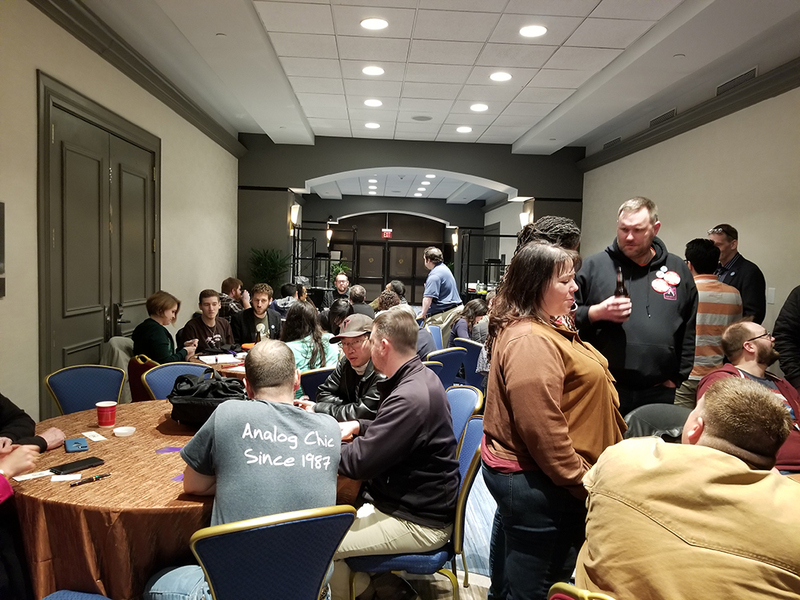 Once people started returning from dinner, we spent the evening at the hotel bar, chatting, testing paper and nibs, and generally having a great time. Alright, this is it. The big one. The one we’ve all be waiting for…whoops, nope, this isn’t Harry Potter. This is my last BWIPS 2018 post. I hope you’ve enjoyed reminiscing with me. If you haven’t yet, go read parts 1, 2, 3, 4, and 5 before continuing. When I left you yesterday, we were all heading back to the hotel for the “official” pen show after dark fun. Somehow, between leaving Frank & Nic’s as one big group, and arriving at the hotel (a 5-minute walk if you’re going slow) we separated into multiple smaller clusters of 3-8 people. Jim made a beeline for the hallway between the show rooms as soon as it became apparent that that was where the “event” was being held. Jim wanted a good spot, and I tagged along with him. Soon Cary Yeager and a gentleman whose name I don’t know came down the hall and started setting up the area. I helped bring out and set up the chairs so my conscience would be clear when I didn’t stay to clean up. Slowly, people filtered down from the bar and lobby, filling the little hallway area to overflowing. Welcome back to my BWIPS experience write-up. Today starts the pen show after dark shenanigans. If you haven’t read parts 1, 2, 3, and 4, you might want to go do that. This post is back to a shorter length, but tomorrow’s (which should be my last post) will probably be rather long. The announcement that the show was official over (for the day) was a bit of a bummer, but it also meant that it was time for after-show shenanigans. It took me a while to locate Jim, who I found sitting with Adam at the Bertram’s Inkwell table. At that moment, the plan was to stick with Adam to enjoy the after party. But when we got shoo’ed out of the room, we found ourselves in a crush of people. 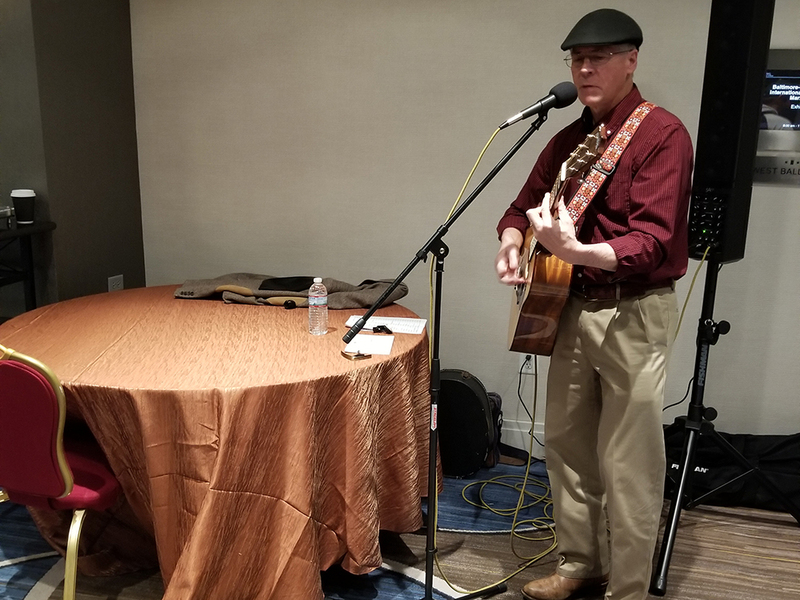 For a while, we sat and listened to Larry Ragland of Diplomat Pens play the guitar. 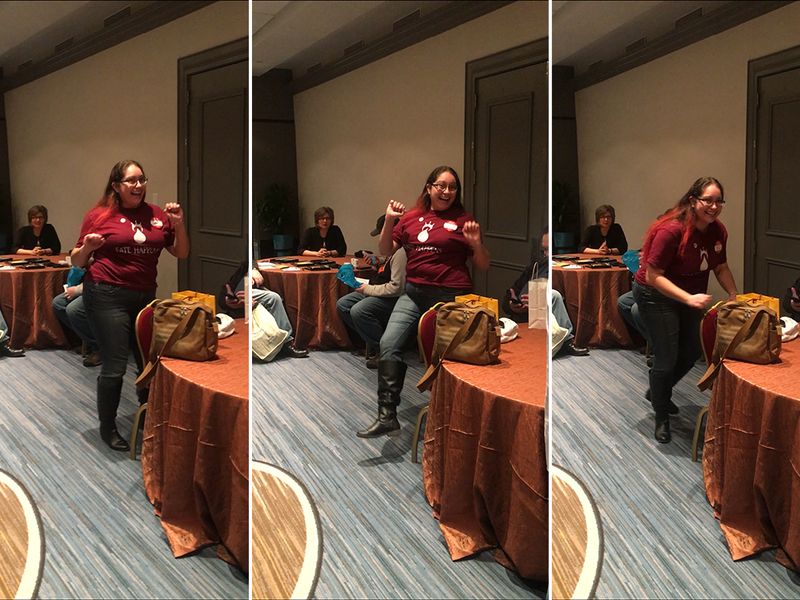 I even had some fun dancing. Te was kind enough to let me include some photos she took. Welcome back to my BWIPS experience write-up. If you haven’t read parts 1, 2, and 3, you might want to go do that. 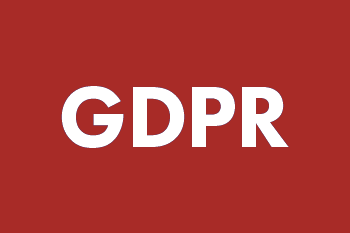 Fair warning, this post is longer than I intended it to be because there’s a lot to say. That said, I hope you enjoy it. When I last left you, I was on my way to the Bittner table to buy a Homo Sapiens Bronze Age (VHSBA). There were a couple of people in front of me, so I waited, mostly patiently, for them to finish. Finally, it was my turn. Cindy Bittner was very efficient. She had my Homo Sapiens Bronze Age Maxi with a medium nib packaged up and checked out in a couple of minutes. Happy as a clam, I met back up with Te and Jim, and we went to the Chesapeake Room to await the Organics (Studio) 101 chat with Tyler Thompson. Welcome to part 3 of my BWIPS 2018 experience write-up. If you didn’t read part 1 or part 2, I highly suggest you do so before continuing with this. I’d like to take a moment before I start to mention that the more I “got into” the pen show, the less I remembered to take photos. So you’ll be seeing less for this installment. Jim was a very happy Pen Sloth once he got his hands on his pen. I may be biased, but I think my pen is a little bit nicer. ;-). His is beautiful, though. It reminds me of Thai iced tea. Welcome to part 2 of my BWIPS 2018 experience write-up. If you didn’t read part 1, I suggest you do so before continuing with this. I walked into the large room through the second door. The table immediately to my right is, for some reason, completely lost to my memory. I’ll blame it on pen show excitement. 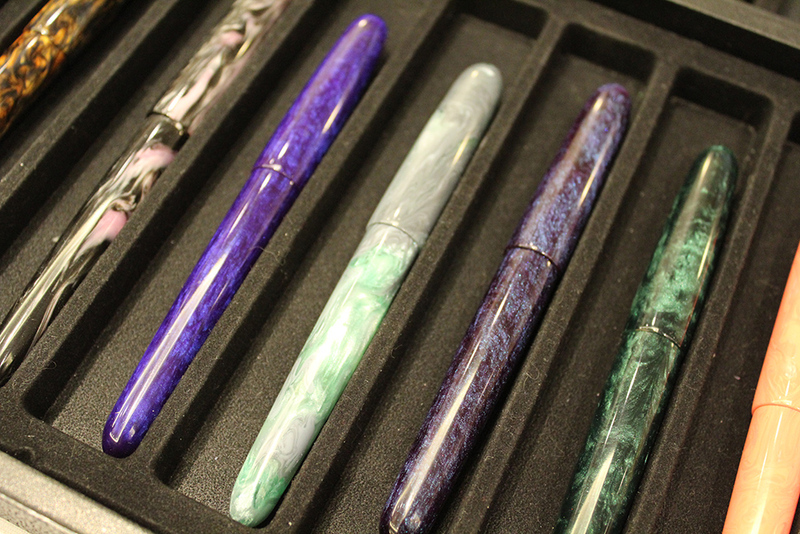 I walked down the row and spent a few minutes staring at the Kanilea Pen Company pens. They’re absolutely beautiful, but, for some reason, they just don’t call to me. I’ve yet to figure out why. 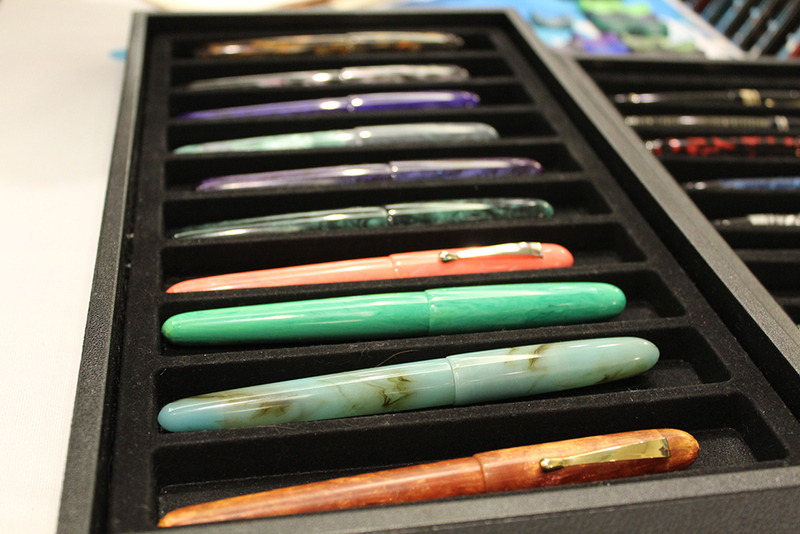 Just past Kanilea was Jonathon Brooks/Carolina Pen Co. Unsurprisingly, the pens at his table were absolutely beautiful.